It can be a daunting task for an American band to bring their music to the UK; but on a chilly mid-February evening, three-piece Covet showed The Haunt what they’re made of, with a blistering support performance, to leave us all crying out for more. 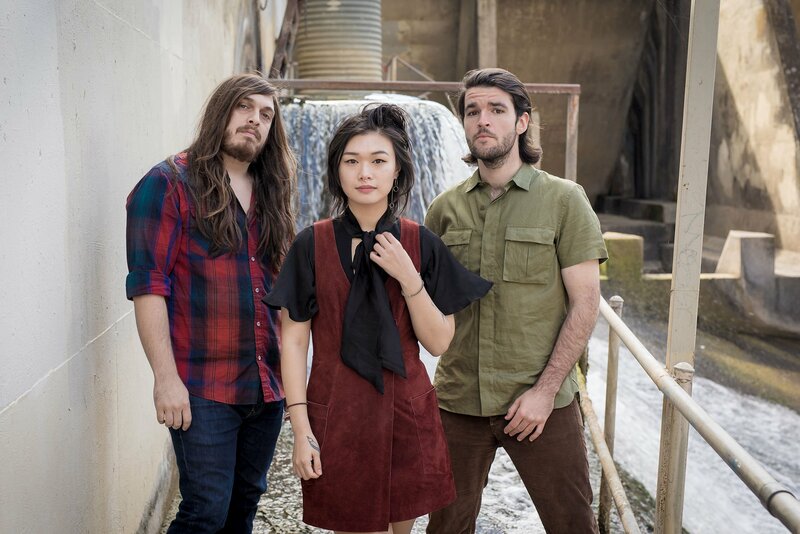 Fronted by revered multi-instrumentalist Yvette Young, the math-rock group is renowned for sweeping intricate guitar lines and obscure time signatures, and certainly did not disappoint on their return to Brighton. “We are Covet, and we’re here to play you some music”, said Young, and that’s exactly what they did, for an uninterrupted 30 minutes, to a room of entirely transfixed fans who remained completely captivated throughout. Crowd interaction can be tough for a group without a vocalist, but the trio did not let this stop them. Whereas most bands will break between songs for an off-the-cuff quip, Covet communicate almost telepathically through their swirling, beautifully-crafted pieces of emotive artwork, and use the lack of vocals as a benefit rather than a hindrance. No vocals enables every track, whilst flowing effortlessly from one to another, to be left open for audience interpretation. The band themselves have a great chemistry, which made for an incredibly tight performance. The result was almost spellbinding and the journey we were led on really does intrigue as to the inspiration behind each track. Before the final song of the set, Bass player David Adamiak shares his thoughts on the infamous pier fire and humorously apologises for the many faces he pulls when he plays. Ending the show with mystical track howl, Covet have a truly unique and defined sound, and are among an elite group of artists who sound better live, when their songs really come to life. Covet are not a band to watch, they are a band to experience.